TORONTO, ONTARIO (GLOBE NEWSWIRE) — Yorkshire Valley Farms is pleased to announce it is a National Champion for Canada’s organic week this year. Yorkshire Valley Farms also manages over 2000 acres of organic crops, which go into the birds’ organic, non-GMO, all grain feed. Organic week is the largest annual celebration of organic food, farming and products across the country. As a proud member of the Canadian organic community, Yorkshire Valley Farms will be celebrating by participating in the weeklong activities. Since 2010, Yorkshire Valley Farms has been growing certified organic poultry. To be certified organic in Canada, poultry producers must follow detailed protocols outlined by the Canadian Food Inspection Agency. Organic standards ensure the entire food system is taken into consideration; from the soil health at the farm level where organic feed is grown, to the barns and pastures where organic birds are raised, all the way to the processing standards to ensure that when you serve poultry at home, you can be sure that it is of the highest quality and integrity. 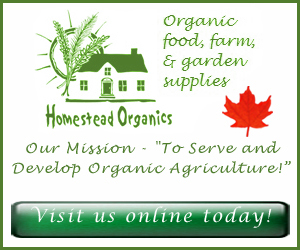 Yorkshire Valley Farm Products Available in the Retail Store of Homestead Organics! At Yorkshire Valley Farms, this means that chickens are fed a diet that is all organic and free of antibiotics, genetically modified organisms, pesticides and herbicides, with no animal by-products added. The birds are raised in barns with natural light and ventilation, as well as more space than conventional farms, so they have room to roam and are able to display natural behaviours like spreading their wings and dust bathing. The animals also have seasonal access to organically managed outdoor pastureland. 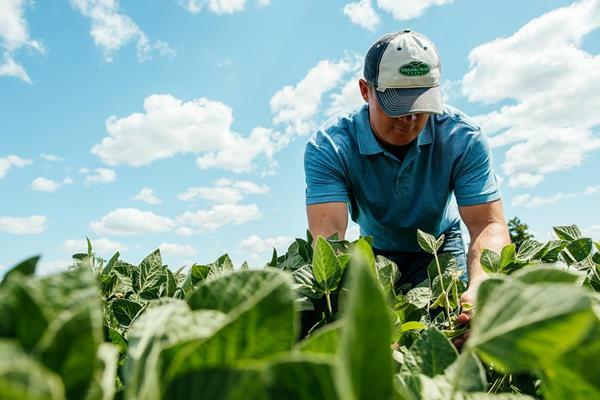 To support its poultry flocks, Yorkshire Valley Farms also manages over 2000 acres of organic crops, which go into the birds’ organic, non-GMO, all grain feed. By taking the best of what nature offers, Yorkshire Valley Farms provides you with wholesome, delicious chicken and turkey that we can all feel good about, for your families and the world we live in. ABOUT YORKSHIRE VALLEY FARMS: Founded in 2010 and owned by Ontario farming families, Yorkshire Valley Farms produces and markets fresh and frozen organic poultry products, including chicken, turkey, and eggs. In just over 6 years, Yorkshire Valley Farms has grown to become one of Canada’s leading organic poultry companies.